Since 2013’s My Name Is My Name, one has had the sense that Pusha-T is a genius rapper who has not been allowed adequate freedom as a solo artist. Of course, we know of his genius from his early days in Clipse, when he and his brother No Malice reinvented gangsta rap music with the Neptunes-produced Lord Willin’ and Hell Hath No Fury. But, since then, as a solo artist, Pusha-T has only shown flashes of the potential that he first showed as one half of Clipse in the late 90’s and early 2000’s, the most notable of these being the Kanye West-produced “Numbers on the Board,” a mini-masterpiece which demonstrated the crucial fact that Pusha-T requires minimalist production to thrive. His cold elocution, deviously arrogant persona and dark ex-dealer rhymes are always painfully out-of-place on pop-rap anthems. 2015’s King Push – Darkest Before Dawn: The Prelude was in many ways an improvement upon My Name Is My Name. So is DAYTONA, Pusha-T’s most recent venture, upon Darkest Before Dawn, and for the very same reasons; less bloated production, fewer appearances from second-rate GOOD Music artists like The-Dream, more experimentation, and an even shorter runtime. DAYTONA runs a meager 7 tracks and lasts hardly 21 minutes, but it accomplishes far more than any of the 90-plus-minute megamixes currently offered by Migos, Rae Sremmurd, and the like. Wholly produced by Kanye West, at least half of the credit is due to him. DAYTONA is an album of seven “Numbers on the Boards’s,” and it only further solidifies West’s reputation as the most innovative and important popular musician of the 21st century. The album opens with “If You Know You Know,” a skeletal banger reminiscent of Yeezus which quickly explodes into ecstatic synths like “Father Stretch My Hands” on The Life of Pablo. “The Games We Play” and “Santeria” are darkly Latin-flavored beats based on guitar licks. The latter features a Spanish R&B interlude that goes over surprisingly well. “Come Back Baby” is the hardest track on DAYTONA, with three verses consisting solely of a swelling bass-line and two hooks sampling The Mighty Hannibal’s “The Truth Shall Make You Free” without alterations. “What Would Meek Do?” is a conversation between Pusha-T and West about current drama over an eerie, energetic beat. What does Kanye have to say? “Poop, scoop! Whoop! Whoopty-whoop!” among other things. Suffice it to say, it goes over far better than West’s own “Ye vs. the People” with T.I., or “Lift Yourself,” for that matter. DAYTONA closes with “Infrared,” which is proving to be the album’s most impactful track. Pusha-T brutalizes Drake, Lil Wayne and other enemies while simultaneously solidifying his reputation as the godlike gangster he’s claimed to be since “Dirty Money” in 2006. “The lyric pennin’ equal the Trumps winnin’ / The bigger question is how the Russians did it / It was written like Nas, but it came from Quentin.” “The only rapper sold more dope than me was Eazy-E / How could you ever right these wrongs / When you don’t even write your songs?” Drake was so offended that he fired back with the similarly excellent “Duppy Freestyle.” One can only hope this beef will produce more excellent tracks. The only track on DAYTONA that feels slightly out-of-place is the slower and more luxuriant “Hard Piano.” Rick Ross offers one of his best verses, but the song still feels irredeemably unfinished. The “Maybach music” samples are delightful, but the “Santo Domingo” hook is utterly absurd and out-of-date; it sounds like a bad reject from the My Beautiful Dark Twisted Fantasy sessions. DAYTONA is the type of rap album Pusha-T (and the world) needs. It is brief, (though maybe too brief), raw (though maybe too raw), and experimental. Even the album cover, supposedly changed at the last moment to a photograph of the late Whitney Houston’s bathroom, is bold. Apparently, DAYTONA is simply the much-awaited King Push renamed for artistic reasons. If not, I hope that that album (or whatever Pusha’s next may be) will only continue the trend of more experimentation and individuality begun here. 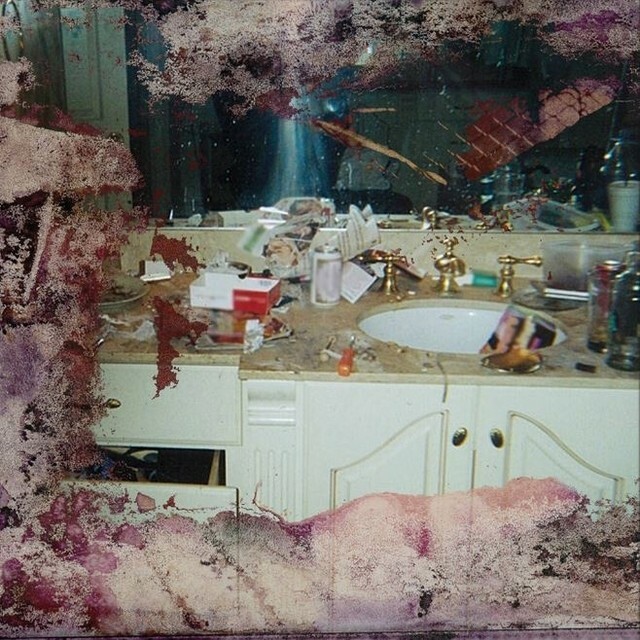 DAYTONA shows, finally and categorically, that Pusha-T is still capable of making a masterpiece in the contemporary era, if he can only work with his producers to polish his sound for a bigger and more substantial piece. Its success bodes well for Kanye West’s own next album, which contains seven tracks also and is supposedly out June 1st.